Information provided in this survey is considered a public record and may be subject to public disclosure. For more information, see the Public Records Act, RCW Chapter 42.56. To learn more about how we manage your information, see our Privacy Statement at http://www.seattle.gov/privacy. 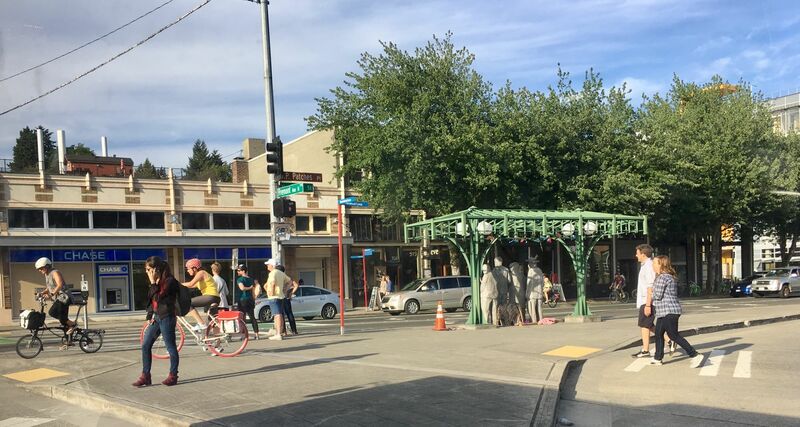 The Seattle Department of Transportation (SDOT) wants to get your feedback on the design of the N 34th Mobility Improvements Project. SDOT is working to improve transportation in the Fremont neighborhood by enhancing bicycle safety for all ages and abilities while preserving freight access on N 34th St. We're proposing upgrading the existing bike lanes to protected, paint-and-post bike lanes on N 34th St from Fremont Ave N to Stone Way N and keep parking on the north side of the street. at N34Mobility@seattle.gov or (206) 684-8105. Servicios de traducción e interpretación disponibles bajo petición (206) 684-8105. Matutulungan ka naming maintindihan kung hihingi kang tulong (206) 684-8105. 요청하시면 번역이나 통역을 제공해드립니다 (206) 684-8105. Dịch và thông dịch viên sẵn sàng nếu có sự yêu cầu (206) 684-8105. Haddii aad dooneyso turjubeen fadlen wac (206) 684-8105.